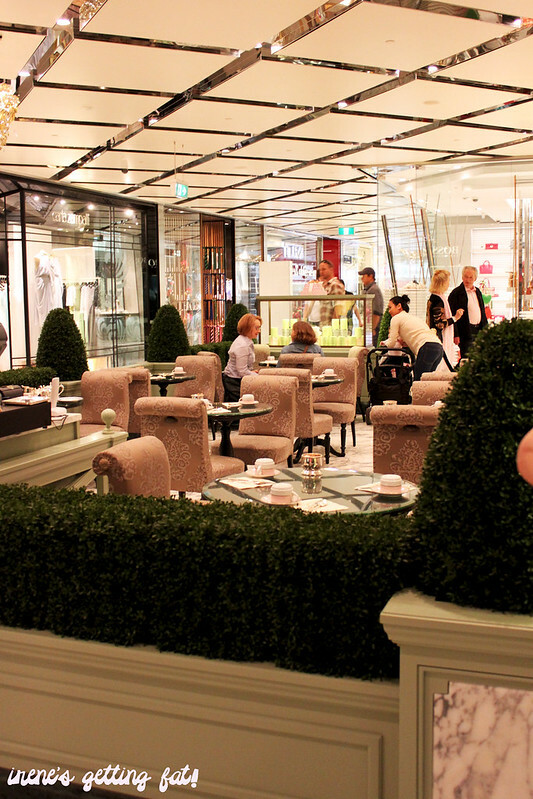 A pretty small slice of Paris, frozen and shipped to Sydney. 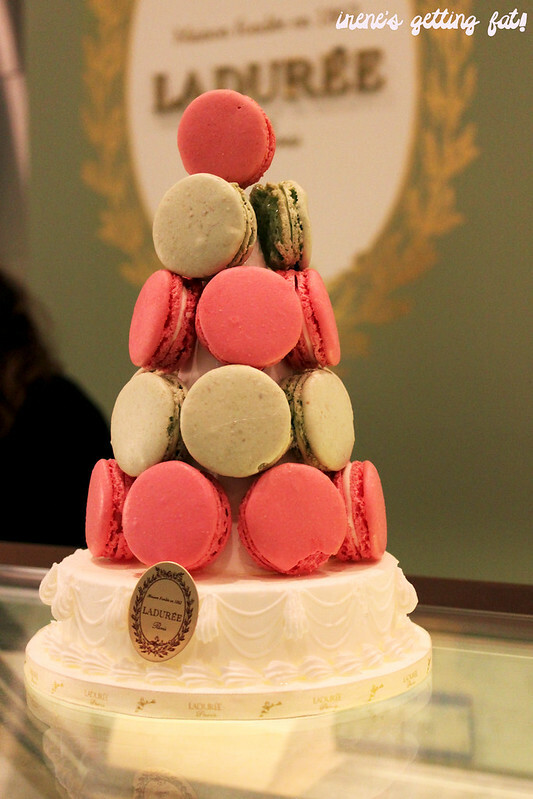 Ladurée is one of the most well-known macaron empires, along with Pierre Herme; both originated in Paris, France. 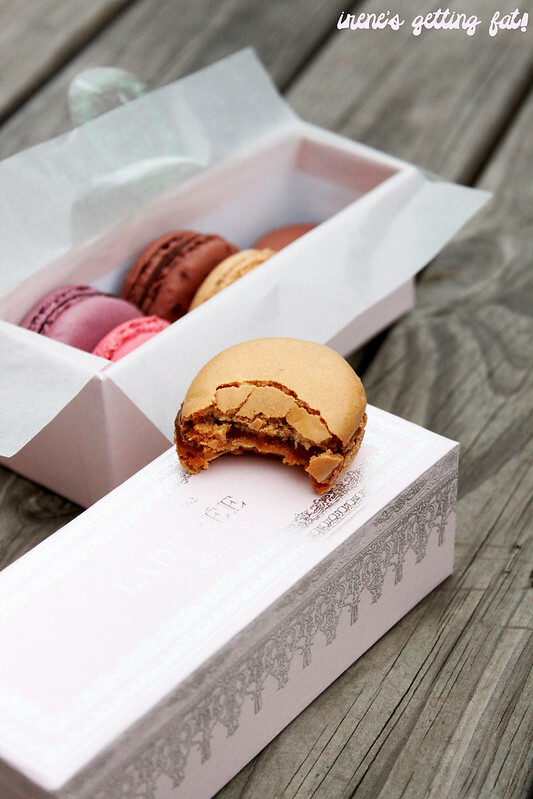 It’s famous for its elegant yet cute design, which fits perfectly with the macarons’ image, the pretty, fragile, (sometimes) expensive little meringue buttons filled with enticing and creative fillings. 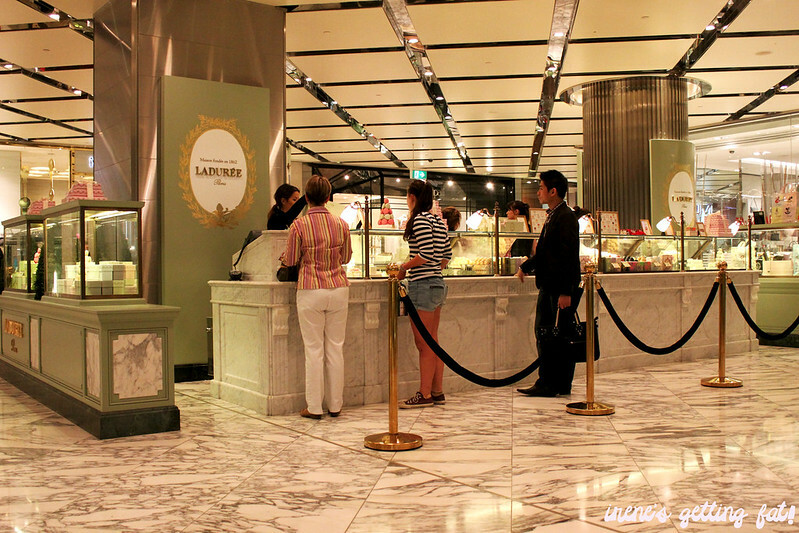 When Ladurée shop first announced its opening in Westfield City, the enthusiasm was very apparent with endless queue which lasted for weeks. I chose not to join the fray, I waited until the hype is tuned down, although I did have the same question that everyone had: is the macaron worth the hype? The small shop, if you may, looks inviting with sweet pastel colours, adorned with occasional gold. 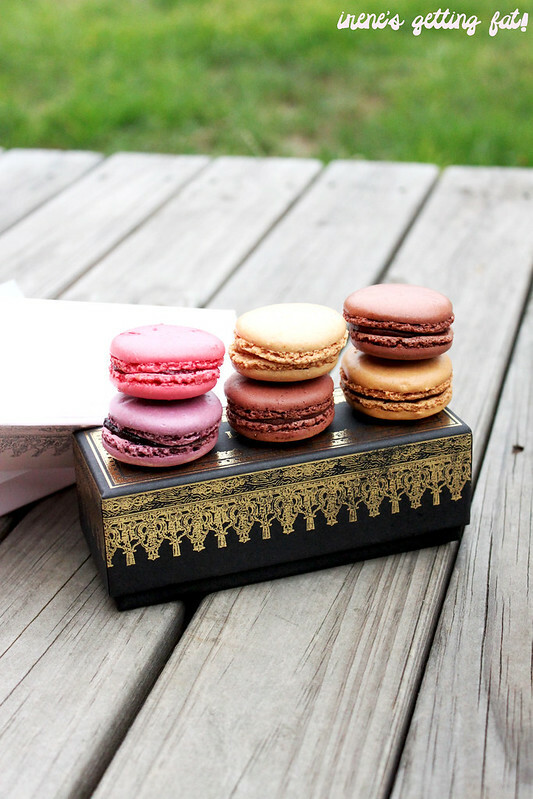 They also have macaron towers and beautiful boxes that will cost you more if you choose to use them. They’re great for gifts, I reckon. A small dining area is also provided for those who want some tea or coffee or hot chocolate to go with their macs, as long as they don’t mind to pay $0.8 extra for each mac. 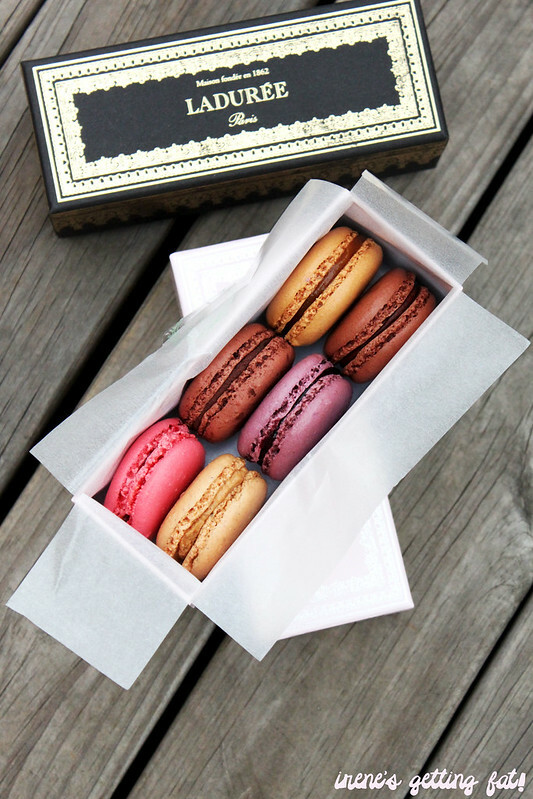 The macarons are also a sight to hold: colourful delicate snacks that deserve the gentlest handling. The macaron selection of the day seems to be changed regularly, as not every flavours I was planning to buy was available that day. 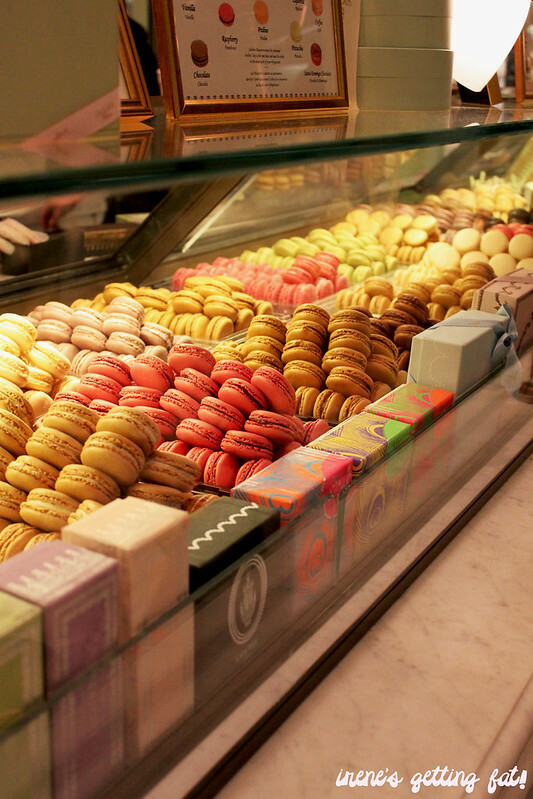 A macaron will cost you $3.2 each for takeaway, and $4 for dine in. Apparently I had to pay extra for the boxes as well. I’m not sure if you can get a free box, anybody knows? 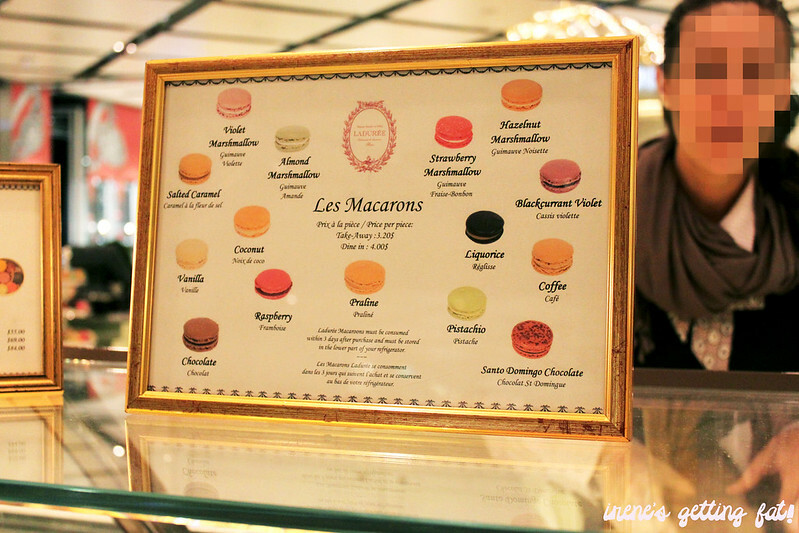 I was there for quite a shopping spree, as a few curious Indonesian food bloggers also want to have a taste of these world famous macarons. Because I had to take these boxes (except one, mine) to the flight with me, I put them in a metal box and used newspaper and tissue paper as shock absorber. Thank God they were only cracked a bit, I was really scared of destroying them. Of course, I bought a box of 6 for myself. I selected salted caramel, raspberry, chocolate, Santo Domingo chocolate, blackcurrant violet, and praline. Salted caramel – my all-time favourite mac flavour, would love it even more if the salt shines brighter than the sugar. Raspberry – tart enough, with raspberry seeds hiding in the filling. Chocolate and Santo Domingo chocolate – I failed to taste the difference between the two, but they’re my fav among all. Rich, with slight chocolatey bitterness. Blackcurrant violet – slightly sour, but I couldn’t really taste the violet. How does violet taste anyway? 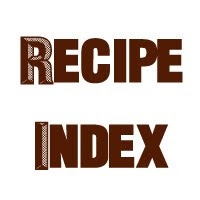 Praline – nuttiest of all, has good creaminess but would be preferred if it’s less sweet. My final verdict would be: they’re too sweet for me. The macarons’ shape is perfect, the ratio of the shell and filling is good, but they would be lovelier if the sugar level is decreased. With such a price, I’m not 100% sure that the macs are worth it. I’m glad that I’ve tried them and I wouldn’t refuse if you want to buy me some, but I don’t think I’ll join a queue to get another box. 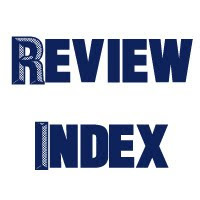 Anyway, I’m sorry that a new post had to take a full week to be published! As you may already know, I’m currently enjoying my holiday in Jakarta, and kinda finding it difficult to get enough time (or energy) to post. I’ll do my best to do two posts per week as usual, of course. Anyway, cheers to 7 sleeps to Christmas! It's my fav so far. I think you'll like it! I'm sorry, El! I thought you aren't interested in these macs, will bring urs the next time I come back here! The lemon one's really good! Anyway, if they were a tad cheaper I'm pretty sure I'd enjoy these macarons more.. hmm. Agreed! I don't usually get fruity-flavoured macs except for the berries, maybe I should try the lemon! I bought a box of 12 and I didn't get charged for the box, at least I don't think I did unless the price was inclusive? I've had the ones on Paris and I have to say they do vary a little bit. The French ones are more enjoyable for me. I think the price is what it is because of the shop name of course, and for the fact that it's the first one in Australia. I thought I didn't pay for the box too, but after some calculations I was sure I did, because 6 macs with $3.2 shouldn't be $23 right? 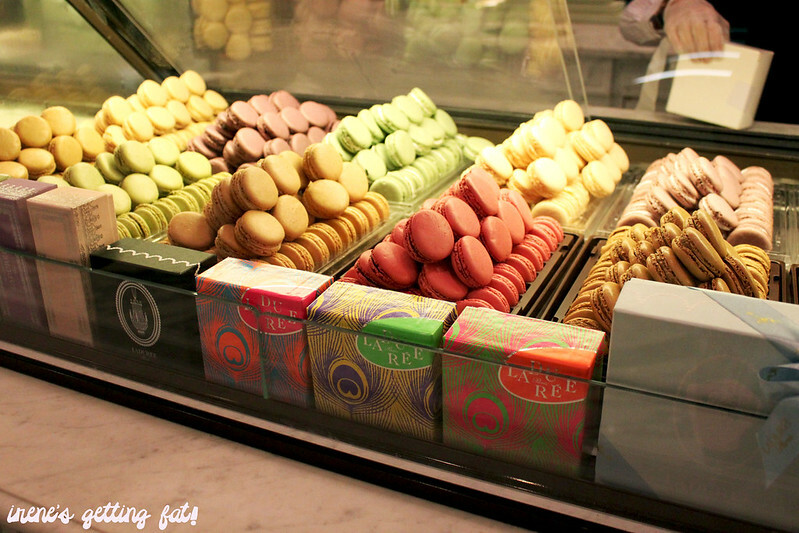 Hi, I am not too sure whether you had tasted the macaroons from other shops including those patisseries in Paris and elsewhere in France. 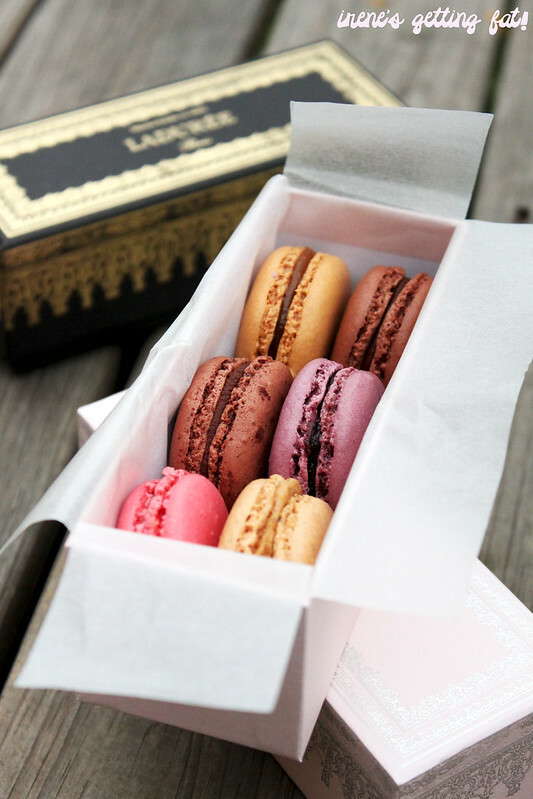 I had tasted a few others and Laduree's are still outstanding and delicately perfect flavoursome macaroons I had in my lifetime. 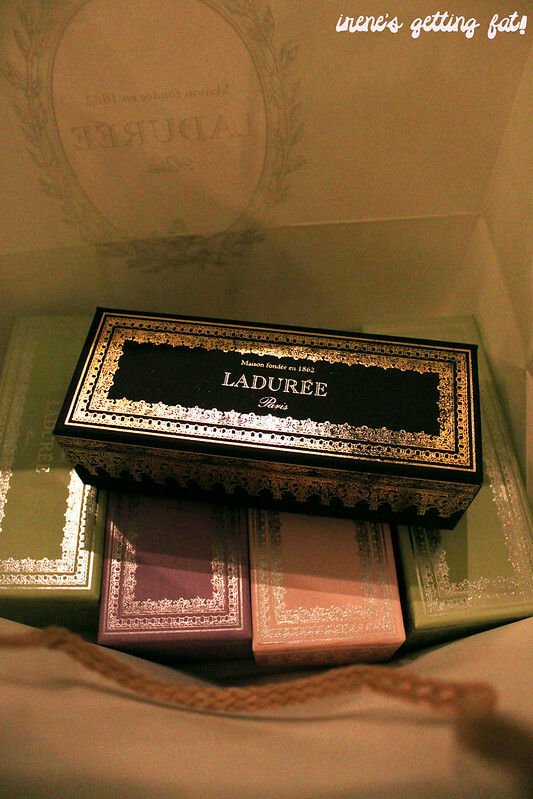 I would happily pay the premium price to get Laduree's :) and that's my views!